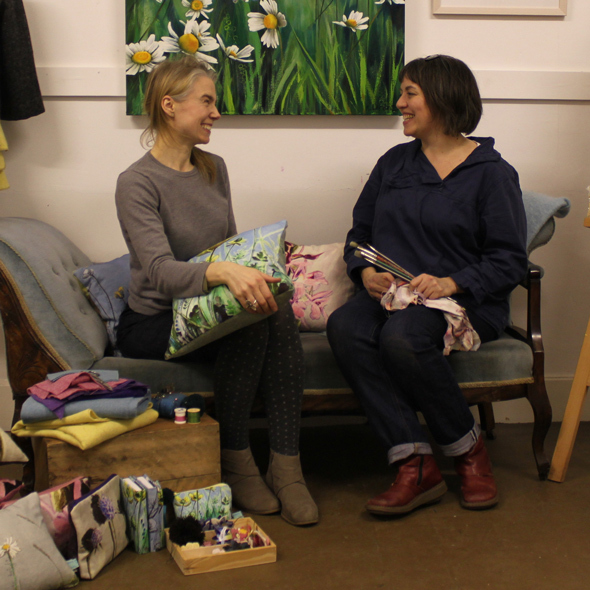 Ruth has had some of my paintings printed onto textiles and then stitched words and colours into them, making cushions and bags and notebooks – they are just gorgeous ! And backed with lovely Harris tweed, they are unique, and in very limited editions. These will all be part of the ‘Flowering on the edge of the world’ exhibition, for one day only at my studio, on the 1st March 10.30am-5pm. You’ve got to come and see these ! 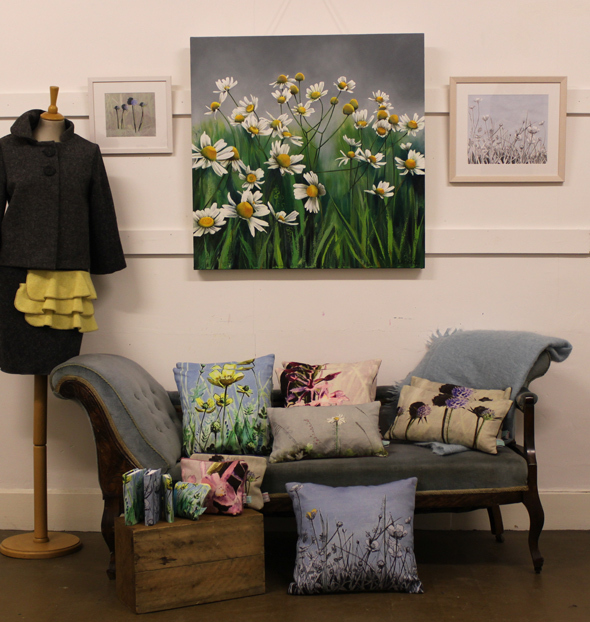 New work by flower painter Kirsty Lorenz and Scottish designer/maker Ruth Morris inspired by the wild nature of the Outer Hebrides.